Today was the first day for Kiwi exports Jase Hawkins and PJ Harding at KIIS 101.1. Hawkins and Harding arrive in the Breakfast slot with everyone asking the question – Are they ready for metro breakfast, especially in Melbourne; the most competitive breakfast market in the country. However, they got off to good start today, despite some expected nerves. Within an hour of the show, after receiving a swag of negative comments on social media, Hawkins went to great pains to point out that he and Harding had nothing to do with the sacking of Matt Tilley and Meshel Laurie from the Breakfast slot. Later in the show, new Drive hosts Will and Woody dropped by, sporting Matt and Meshel t-shirts and holding Matt and Meshel mugs, a joke Harding didn’t immediately appreciate. Hawkins is a good storyteller and their chemistry is solid. Honesty, it’s easy to tell these two have worked together for awhile. Harding’s accent could be problematic for Melbourne listeners. Hailing from New Zealand, her accent is very pronounced. It will be interesting to see how listeners react. Any change to a breakfast show lineup will inevitably see a drop in rating share before it potentially increases. It’s always the way. Hawkins and Harding are in for a challenging first year. In this case, it will be interesting to see how far KIIS 101.1 will decline in the first few surveys. The pair kicked off with an early promo in December, taking to the streets of Melbourne wearing hi-vis vests in an amusing video stunt where they attempted to hold up pedestrians for as long as possible for no real reason. This morning’s $10,000 Perfect Pour petrol pump contest was good, but was it strong enough and compelling enough for the first-day launch of a new radio show? Additionally, it is hard to see which station they will take an audience from, as it’s unlikely to be from the strong offerings from both Nova or Fox. The real shame for Hawkins and Harding is that they weren’t bedded into the market in Drive or Nights first. Its a big call taking on the key breakfast shift. In terms of positives, Hawkins and Harding had good localism for a new show. This is something that 2Day FM lacked in its first year of Em Rusciano in Sydney. This show would go well in a market like Adelaide or Brisbane if given enough time to develop and with strong marketing support. Branding themselves with the tagline “always awkward” is an unusual too. Clearly, they are playing the underdog position. They certainly led into the show with some bizarre and awkward publicity. In the past, Melbourne radio personalities have either had a strong heritage, history and profile in the market like Matt Tilly, Grubby, Chrissie Swan, Dee Dee, Jo Stanley, Eddie or have had a strong comedy background like Mick Molloy, Lehmo, Sam Pang and Tony Martin. Hawkins and Harding have neither, and if ARN is serious about this it will take several years to build this show, as they’ll need to build the duo’s profile with strong marketing and promotion. That’s an expensive exercise and has left many wondering whether they’d have been better served to continue with Matt and Meshel, who rated 6.3% and were growing. We wish Jase and PJ all the best in the battle ahead. It’s always good to see “radio” talent with radio backgrounds coming up through smaller markets. Radio Today you are being very generous here. I listened this morning. They will be pushing it uphill in the market to gain any traction against a very strong FOX and NOVA plus Triple M (although not in their demos) so they’ll need to be nimble, fresh and really out and about in the city making their mark. I agree it’s a 3-4 year proposition for KIIS. They sound eager so I wish them well for the battle ahead. Will and Woody I’m not sure about… it seems like a KTM year. It will be interesting to see how W&W and H&K pan out. Honestly, Jase and PJ are one of the best shows across Australia and New Zealand. Their content is always different and fresh. Kicking off a new show is hard in any market, so the first couple of surveys were always gonna be scary. Eventually though, their talent and cool and interesting angle on content will definitely make their show and station a force to be reckoned with. Didn’t hear the show this morning. Have so far only sampled audio bits from their ZM Drive Show. True they are not former footballers, game show hosts or gained the worldly knowledge of spending a season on MKR. These guys are rather like the Australian expat duo Natalie Price and Andrew Harrison (Harry & Pricey) on Dubai 92, who have just been elevated from the Drive shift to the Breakfast shift on that station. In both cases, it appears to matter that two presenters get to know each other, develop a chemistry and hopefully appeal to the listeners. Perhaps that’s an old fashioned radio concept in this multimedia age but don’t discount the possibility it may still work from time to time. If this Breakfast show can achieve at least one thing it is that if you put in the hard yards in the radio industry there is a still a high profile place for you. As far as im aware both Jase & PJ have done this. Hopefully Melbourne wont punish them too hard for not being comedian’s or playing AFL professionally prior to starting on KIIS. A show with real chemistry that wasn’t just forced together by execs – that genuinely have fun and aren’t phoning it in like the entirety of the rest of Melbourne breakfast. Kyle and Jackie O? What a terribly unsuccessful show that is……. 6.3 is not good by any stretch. I think last of the CHRs is not really where KIIS want to be. They gave Matt & Meshel two years and they reached the lofty heights of 6.3%. Both shows that were on KIIS last year were older appeal shows. They’ve reset to younger appeal shows. I think it will work well for them. Melbourne breakfast surely needs a shake-up. I personally was hoping Chrissy sam and browny were going to be the shake up that Melbourne desperately needed. Instead they’re another low-effort low-impact show. That Fox and Nova do well doesn’t mean they have the best shows, just that the competition hasn’t been strong before. Jase and PJ may take a while to bed into the market, but they’re surely going to make the other teams a lot more nervous than Matt & Meshel did.. if nothing else I hope it means the level of radio in Melbourne gets lifted. I hadn’t set an alarm for a show for a long time with excitement. I did and it was really great. You know already know it’s going to work because everyone’s having their 2 cents about it. Congrats to Jase & PJ. This is your year. 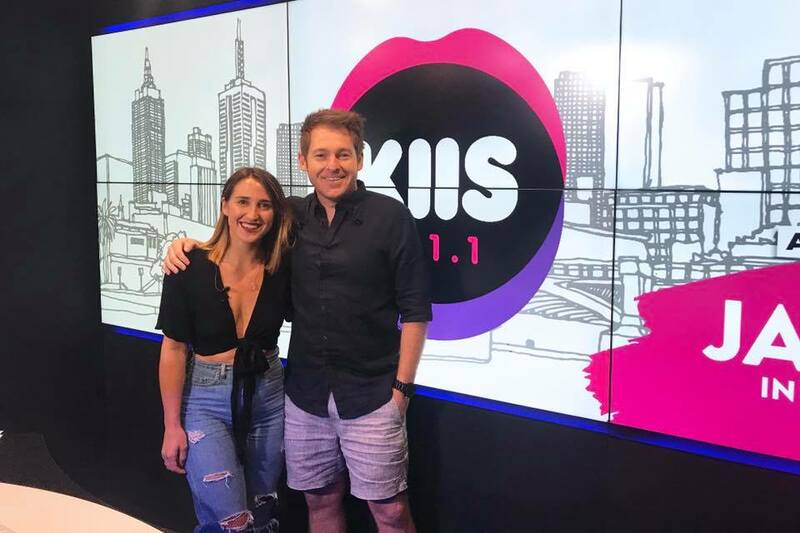 Such an offensive and disrespectful start by the new KIIS shows:getting Matt & Meshel mugs and shirts made, mocking them on air and then posting a smug picture on their socials. All class by them and the KIIS network. I guess anything new must be terrible, right..? And of course, any already established team with established chemistry could never be as good as an on-air team created purely because of their ‘profile’, right..? And how could a Melbourne breakfast show EVER think about attempting to rate without a token football player, because hey – the only local thing Melbourne has is AFL, right…? Great to see heaps of perspective from this ‘article’. Jase and PJ are amazing. They have a great connection, banter and fun content. Listening and watching their show makes me laugh so much. Dont write them off too soon Melbourne! No srsly, they’re a solid show and deserve success. Hopefully they get that success to prove being a former reality star or talk show host or footy player or comedian doesn’t make a difference to real connection. ARN have a habit of chopping good talent so I hope they get a decent go. Matt and Meshel were going well on 6.3%. Nova are smart they back their talent in. Fitzy and Wippa rate 7% and do well in Sydney. ARN will be looking back and wishing they still had 6’s in Breakfast at KIIS. Of course Jase has lots of experience on breakfast radio and has already been on in Brisbane breakfast for years as “lab rat”. Doesn’t anyone remember back more than a few years? Huge risk bringing over a kiwi but I think so many people are forgetting that Jase is AUSSIE. Wonder if Ms Fordham received this much backlash bringing Jase over from Oz when she launched Jase N PJ on Zid Em. Prob not. And judging from the comments from NZ, they must be a great duo for radio. Look forward to seeing what’s in store for these two. Hoping some pranks come our way! Yeh nah..great stuff jase and pj..I’m following from NZ. Hope that helps your ratings. They are lucky to have you..if you don’t feel the love..come back! They are fresh. Thats what they said about Thinkergirls they only got a year. I only hope these lambs to the slaughter get the support they deserve from ARN head office up in Sydney. Finally a breakfast show worth listening too. I know that they are only just warming up. But I’m excited for the future of this. It’s refreshing to hear authentic connection on the radio again. Instead of some try hard combination of a tv personality, comedian and sports star. I hear of a show in Adelaide that will implode this year Jase and PJ would do good there. Right market size for them. So when a random clash of media personalities gets smashed together for a show with 0 chemistry or experience people get on the high horse about that. Then when two genuine radio people (who have both worked their arses of in the industry) get a great gig, we pull it apart. About time we started lifting up the great radio people once more… it’s a good thing and I think this show will offer a lazy radio market something with a bit of edge and difference. Go get em Jase and PJ!